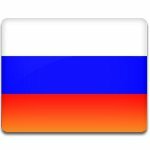 Russia Day is the national holiday of the Russian Federation established in 1992. It is celebrated on June 12 to commemorate the Declaration of State Sovereignty of the Russian Soviet Federative Socialist Republic adopted in 1990. In 1990, the dissolution of the Soviet Union began. All 15 constituent republics of the Soviet Union held their first elections. The elections for the Congress of People's Deputies of the Russian SFSR took place on March 4, 1990. On March 29, Boris Yeltsin became the chairman of the Presidium of the Supreme Soviet. These events sparked a political struggle between the USSR and the RSFSR. On June 12, 1990, a declaration of sovereignty of Russia was adopted. It marked the beginning of constitutional reform in Russia. The country was officially renamed the Russian Federation in 1991. In 1992, June 12 was proclaimed to be a national holiday. Russia Day is a non-working public holiday. When it falls on a weekend, the following Monday is declared a non-working day. The holiday is celebrated with speeches by the President and government officials, flag hoisting ceremonies, parades, concerts, and firework displays. Celebrations are held in many cities throughout the country.